Once described "Instruments of God", the choirs of All Saints Church, Richmond have a storied tradition and a promising future. Find out about our choirs, and learn about upcoming concerts and special worship services hosted by the church. 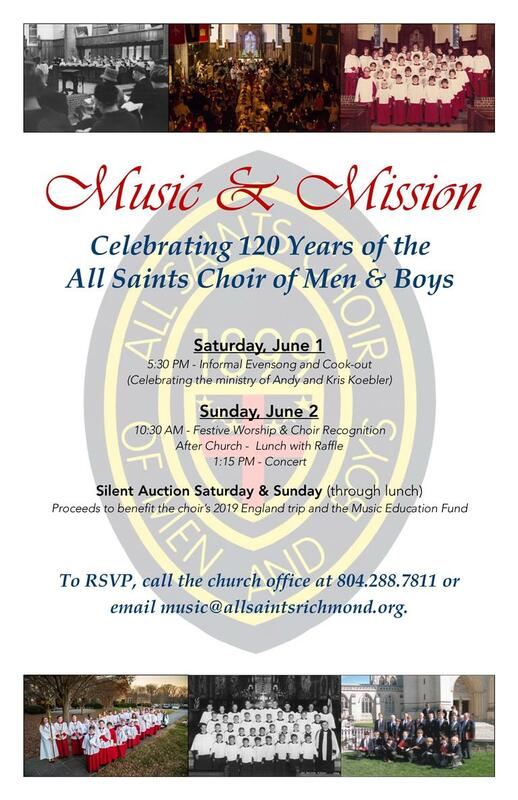 Call 804.288.7811 or email music@allsaintsrichmond.org to RSVP!